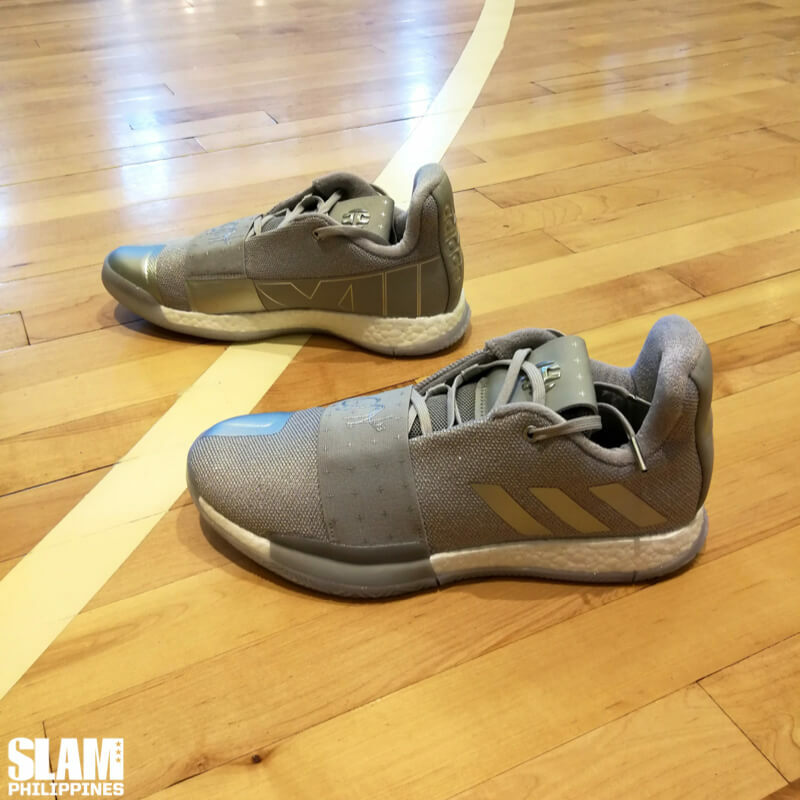 Two weeks ago, I had the chance to get an early trial of the soon to be released adidas Harden Vol. 3. 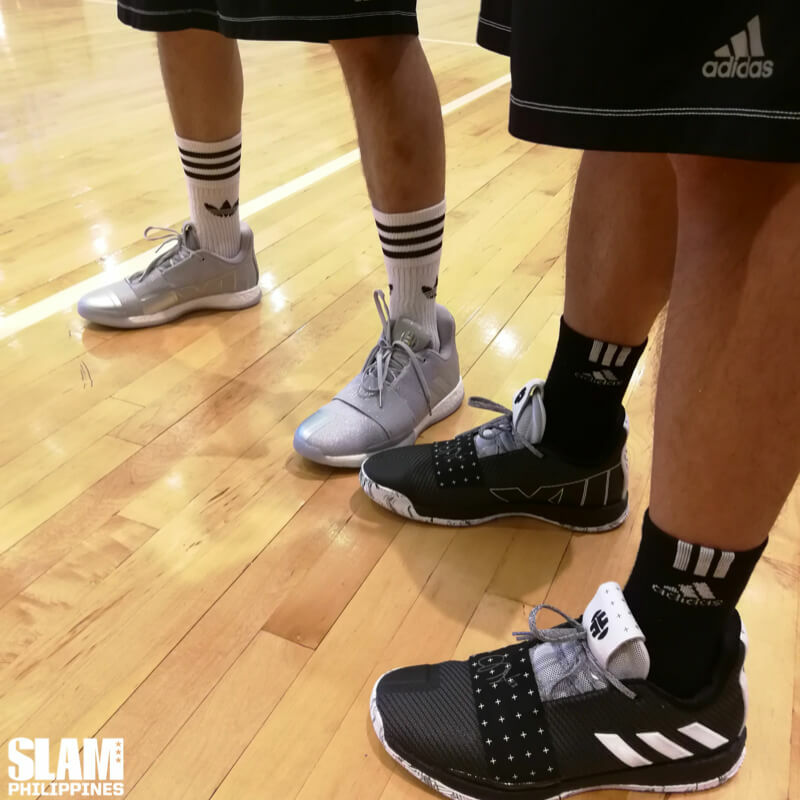 I joined other members of the media as we teamed up with adidas Athletes for a couple of half court games wearing the new signature sneakers of James Harden. Straight up, the Harden Vol. 3s are one of the most comfortable sneaker’s I’ve ever played in. And there was no break in time needed. As soon as I put them on during the Trial Run, that was the first thing I noticed. Maybe I was being fooled by all the silver in the ‘Voyager’ color way I got. But the word I’d use to describe the Harden Vol. 3. on foot is “cozy”, to the point of it being a luxurious feeling. I was curious why it felt that way because the sneaker doesn’t even use a Primeknit upper, one of adidas’ most comfortable materials. Upon closer inspection with the way the Harden Vol. 3 was built, it all made sense. First off, the full-length Boost that they used was thicker and plusher than any of the other Boost basketball shoes I’ve ever played in before (Crazy Explosive 2017 and 2016 low). It provided a soft landing whenever I jumped and cushioned any movements I made on the court. Having a thicker cushion reduces court feel. But the Harden Vol 3. makes up for it with a balanced tooling that is both responsive with very good impact protection. The rest of the shoe can be deceiving. It looks like it’s “only” a mesh upper. But it’s actually double-lined. Underneath the upper is a bootie that hugs the foot softly. This allows the foot to move freely while still being safely contained. The forefoot strap also helps keep everything in place, especially during sharp movements. The thick sock liner, as well as the secure heel cup complete the entire set-up. The Harden Vol. 3. proves that you don’t need all of the top of the line materials to make a comfortable shoe. All you need are little details that will add up to something greater than the whole. The pride and joy of the Harden Vol. 3 is the traction. The whole goal of the sneaker is to allow Harden to slow down fast. That sounds like a catchy tagline but when you watch Harden play, it makes sense. Harden likes to use his deceiving speed to create scoring opportunities for himself. He’s a shify guard that can slow down and speed up at a moment’s notice. That’s why he needs a sneaker that can keep up with his sudden change of pace. That’s what the Harden Vol. 3 aims to do. This year’s version moves away from the pressure-mapped traction pattern of the previous models. Instead, adidas went with a traditional traction pattern, the herringbone. The zig-zag layout of the herringbone pattern has proven time and time again that it’s unbeatable. adidas implements the traction pattern from end to end, with thicker, outward zig-zags on the lateral side of the shoe. The half court games during the Trial Run was the perfect place to get to feel how well the traction works. Since the space was smaller in a half court game, I had to rely on quick cuts to shake free of my defender. I also had to make space for myself when by trying to stop and go on dribble moves. I even tried a Harden step-back a couple of times (both of which I missed). The Harden Vol. 3 traction never failed. I never slipped once. I was confident with all my movements because the traction gripped the court so well. I was able to transition to my next move in one flow because I didn’t have to recover from a slight slip or slide. I never even had to wipe the outsole once. It was literally stop and then go every time. The space theme is apparent with this year’s Harden sneaker. Being from Rocket City, Houston, adidas applied the space theme with how they designed and named the initial Harden Vol. 3 color ways. The one that I got is the bright and shiny silver ‘Voyager’. They named it that way because it talks about Harden’s voyage to an NBA championship. The other clean black color way that was also featured during the Trial Run is called ‘Cosmos’. It’s all about Harden’s skills making his opponents look like they’re defending nothing but space. That featured a black upper and Boost that allowed the white to stand out. It also showcased a black and white marbled outsole. The final color combination they unveiled during the event was the ‘Mission 13’. That refrences to Harden’s number and how astronauts tag their space missions. That features a glow in the dark teal and neon accents on a primarily purple upper. More than the space names for the color ways, the Harden Vol. 3 was created specifically to leverage on Harden’s ability to create space. Overall, it’s a very well-balanced sneaker that’s meant to allow players to move around the court with ease. I’m never going to play like Harden. Actually, no one else in the NBA can duplicate how he plays. All I know is that when I’m using the Harden Vol. 3, I’m in for a comfortable ride that will allow me to move easily to the space I want to get to. SPACEMAN . 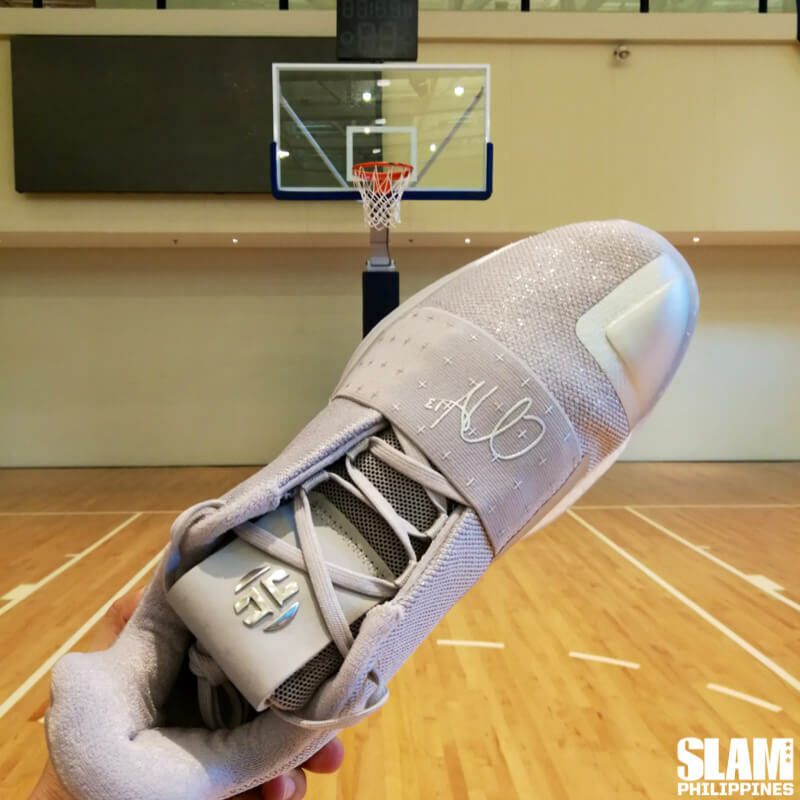 @adidasph launched the new Harden Vol. 3’s designed to create space for that stepback jumper and slow down fast for the easy sidestep. You copping? The Harden Vol. 3 will be out later this week. The ‘Voyager’ colorway will be out first on October 12. The ‘Cosmos’ and ‘Mission 13’ will be out on October 15. Check out Adidas and Titan outlets to grab a pair.